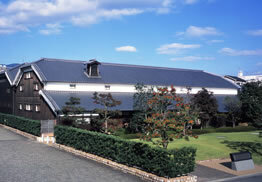 At HAKUTSURU SAKE Brewing Co., Ltd., we have opened our old sake brewhouse in its original form to the public as the Sake Brewery Museum. Our hope in doing so is to give visitors a feel of the tradition of sake making that has been carried down through the ages and to broadly and deeply convey the "heart of Japan" to the sake making world. 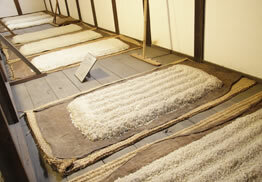 Various sake production implements are on display, including a huge vat made of Japanese cedar once used for fermentation. 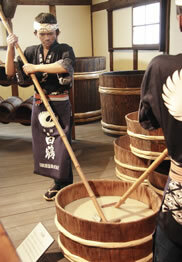 In the sake-tasting area, visitors can enjoy freshly pressed, unpasteurized sake that cannot be found anywhere else. 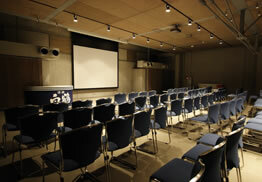 Our store sells not only HAKUTSURU SAKE products, but many original museum goods as well. The sake gelatin dessert is especially popular. 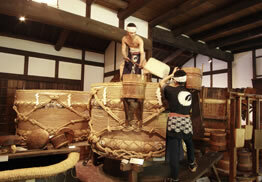 The various stages of making sake are depicted in detail, with displays of the cooling apparatus, koji culture room, and many other types of equipment. Traditional methods are explained with actual tools and video. 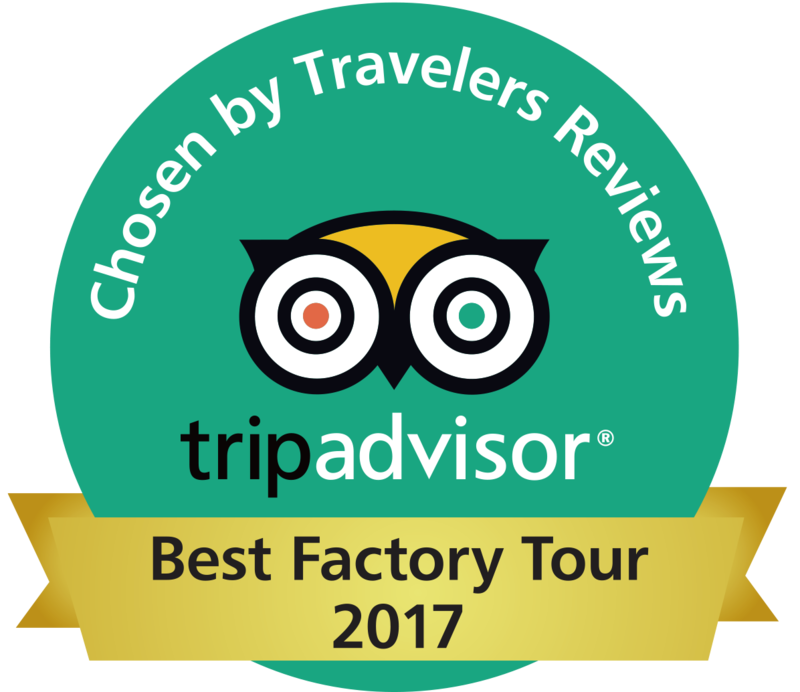 The old brewhouse was converted into the museum itself, lending a highly realistic atmosphere to the display of early sake brewing methods. Changes to your settings may have to be made if characters or symbols are unable to be viewed on your computer. in part or in whole are strictly prohibited. Enjoy alcohol within the proper limits at a legally permitted age. Consumption of alcoholic beverages during pregnancy and the nursing period may be harmful to your child's health.